We’ve all dreamed about features we want in our kitchens. Modern appliances, marble kitchen islands and custom cabinets are just some features that will give your kitchen a fresh upgrade. By choosing to remodel your kitchen, you can add the features you’ve always dreamed of, no matter if they’re for cooking, entertaining or eating. 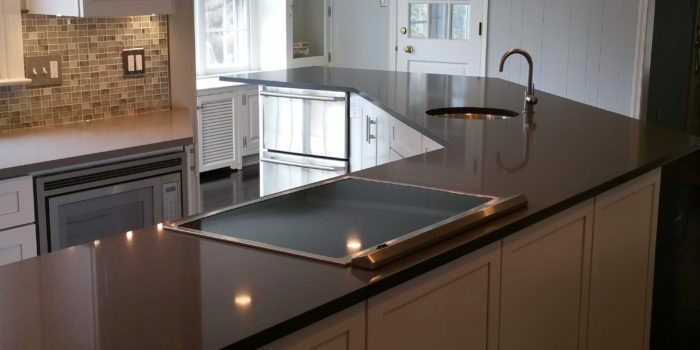 If you think your kitchen is in need of a makeover, the expert kitchen contractors at Eagle Construction & Remodeling can give you the kitchen you’re looking for, so you can stop dreaming about it and start living it. Custom Cabinetry – We offer the finest quality woodwork, which includes custom cabinetry that will make your kitchen stand out and give you the storage you’re looking for. The Finest Flooring – Since your kitchen is going to get a lot of use, that makes it especially important to have flooring that can withstand use and still look gorgeous. We specialize in tile and hardwood, but can give you whatever flooring solution you need. Trim Work – No kitchen remodel is complete without the finishing touches. Our contractors are well-versed in finish carpentry, able to finish off your kitchen remodel with aesthetically-pleasing trim work. 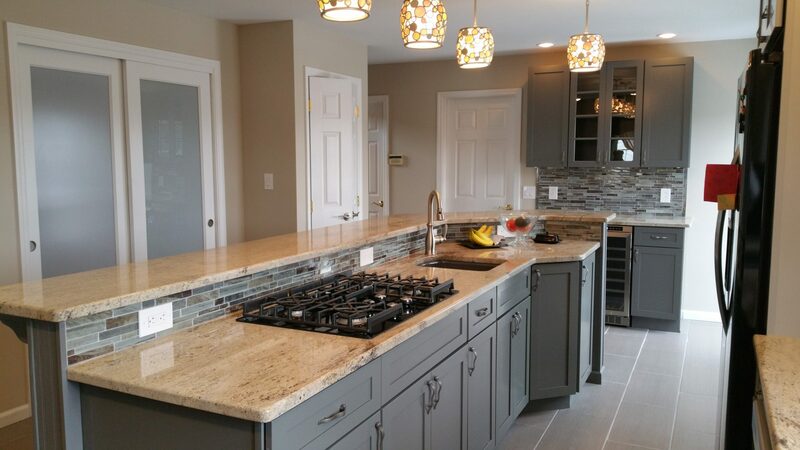 We have a great understanding of the home market in Sinking Spring, and we take great pride in creating exceptional kitchen remodels in the local area. For more information on how we can help breathe new life into your kitchen, give us a call to talk to a member of the Eagle Construction team. One of the biggest reasons people choose to remodel their kitchen is to add more space. Whether you’re looking for additional prep space, or areas to store utensils and dishware, our custom kitchen remodels can create more space in your kitchen through a variety of techniques. Choosing to install modern appliances in your home can greatly improve your energy efficiency and save you energy by completing tasks quickly so you can focus on enjoying time in your home. If you want to optimize your kitchen for entertainment, we can add breakfast bars, additional seating and a kitchen island built for serving to give your guests a truly unique experience. If you’re stuck with ideas for your kitchen, there’s no need to fret. We offer full design services to draft up your new kitchen so you don’t have to! On the other hand, if you would like to have to have your ideas implemented in your new kitchen, we can build them to your exact specifications! If you’re ready for a new kitchen in your home, then let’s get started! Visit our contact page or fill out the form below to contact an Eagle Construction representative. We’ll get back to you as soon as possible so we can begin with your custom kitchen remodel.